Charlotte Pride is underway this weekend, with thousands coming together to celebrate the LGBT community. But this year’s Pride celebrations nationwide have been about more than just celebrating, in this unfortunate Trump era. Resistance has been a key theme, as our community continues to come under attack by 45’s administration. 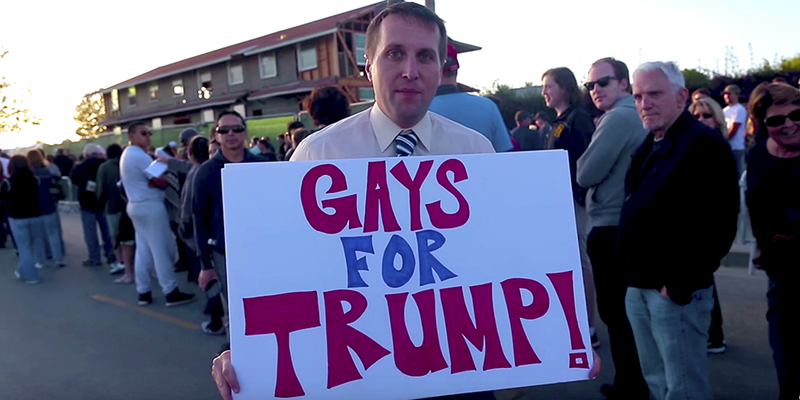 This has led many Pride organizations to ban any Trump-supporting LGBT groups from marching. Two organizations affected by this rule include Deplorable Pride and Gays for Trump. Both groups have scheduled to protest Charlotte Pride this weekend. But things aren’t as friendly between these two pro-Trump groups as one would think. 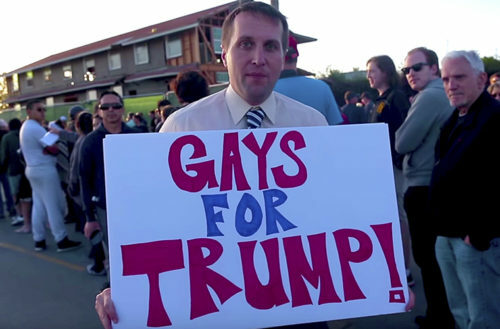 In a series of Facebook posts, Deplorable Pride has called out Gays for Trump and their leader Peter Boykin for a “desperate attempt to ride coattails.” The group claims that Boykin is only out for attention. It’s currently unsure how these groups will end up protesting pride in Charlotte, but it is very clear that none of the organizations will be working together. Read Deplorable Pride’s full statement on Facebook regarding Gays for Trump. “Here is just another desperate attempt by Peter Boykin and Gays for Trump to ride the coattails of those who have truly been discriminated against. The level this man and this group will go to is unbelievable. They have begged for donations using our story to FALSELY claim this banning happened to them. Read Deporable Pride’s full statement on Facebook regarding Log Cabin Republicans below. After being denied any help from The Log Cabin Republicans, here is my response back to Gregory Angelo President of Log Cabin Republicans. UNREAL! For the first time in LGBT Conservative history we are taking a stand against the liberal left. You would think we would receive the support of the largest LGBT Conservative political group in this nation. You missed a perfect chance for us to actually make a difference. So it leads me to believe that your vision is not the right vision for our future. I will be going on PowerTalk 96.7FM in Fresno(22 million listeners) this evening and will make that point very clear of your ineffective leadership in our goals as LGBT Conservatives. You have lost the desire to even fight for our cause. It is time you step down and after our stand in Charlotte, I will work 100% around the clock to see that you are removed from that office. You are a disgrace to the office, this nation, the Republican party, and to LGBT Conservatives. It is way past time that we get a leader with some balls.